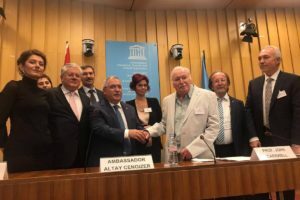 Another international attempt developed within the scope of UNESCO Creative Cities Network was made. The representative to UNESCO and the Rector of Higher Institute of Arts and Culture of Mozambique Prof. Filimone Manuel Meigos and his assistant Flavialidia Gumende came Kütahya in order to attend “Dumlupınar International Çini Festival” organized in collaboration with Vocational School of Higher Education for Fine Arts of Dumlupınar University (DPÜ) , Kütahya Municipality, Zafer Development Agency and Çini, Ceramic Research Center of Dumlupınar University. The Governor Ahmet Hamdi Nayir met the Rector of Higher Institute of Arts and Culture of Mozambique Prof. Filimone Manuel Meigos and his assistant Flavialidia Gumende at the breakfast. 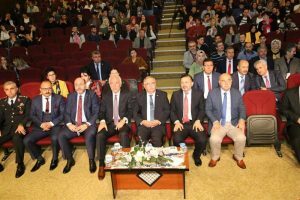 The Mayor of Kütahya Kamil Saraçoğlu, Deputy Mayor Ali İhsan Ertaş and the representatives of Zafer Development Agency (ZEKA) attended the breakfast organized in Döner Gazino at the Kütahya Castle. 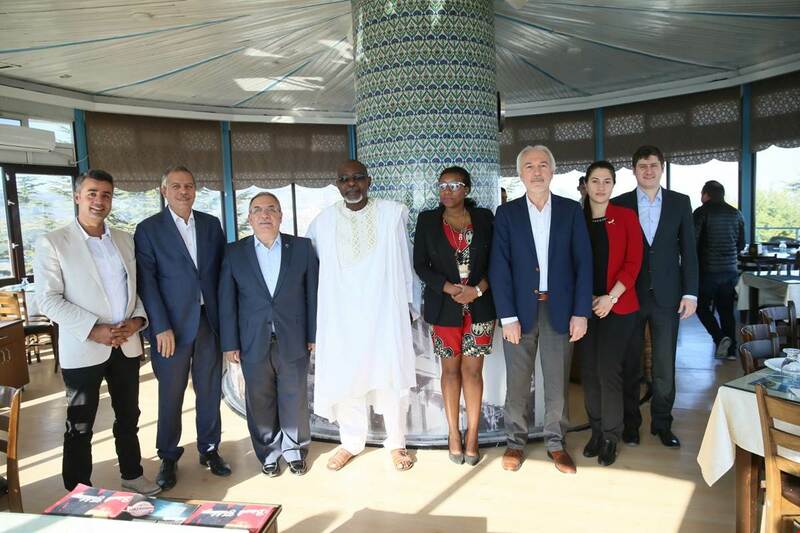 Having thanked the Rector of Higher Institute of Arts and Culture of Mozambique Prof. Filimone Manuel Meigos and his assistant Flavialidia Gumende The Mayor of Kütahya Kamil Saraçoğlu said that he was happy to host them in Kütahya. It was agreed at the breakfast where a mutual agreement about a long-term collaboration was reached that in the first step, Mozambique will start the works within the scope of UNESCO Creative Cities Network through its city of culture and art, Malota. On the other hand, Zafer Development Agency will share its experiences about the development of its human resources with the instruction of the Mayor Ahmet Hamdi Nayir. 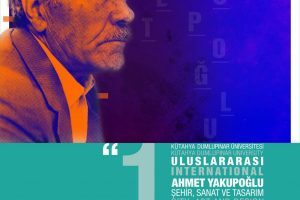 Thus, Kütahya will make the necessary contributions for developing good relationships which are on the agenda of both of the countries.